Why does winning an Oscar so often end in divorce? Perhaps no achievement is so great in the entertainment industry as winning an Academy Award. 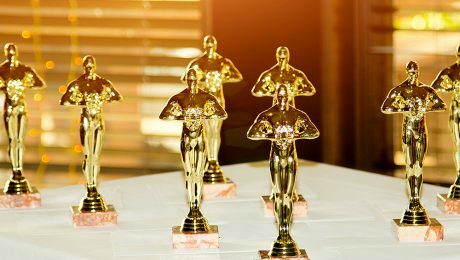 Winning an Oscar is typically correlated with a surge in an actor’s career, but it also often leads to another seemingly unrelated event—divorce. A study conducted by the University of Michigan with the National University of Singapore discovered that Oscar winners, particularly men, are three times more likely to get divorced than other actors. Our Macomb County family law lawyers explore this interesting link, which also occurs in broader contexts, between awards and divorce below. The social scientist review found that not only are Oscar winners more likely to divorce, nominees were also twice as likely to split than actors who are not nominated. The study found that in the five years following an Academy Award win or nomination, an actor’s career will flourish, often including bigger parts, better pay, and more film credits. It is this boost in status that social scientists believe ultimately leads some to divorce. Status disruption is a term used to describe a sudden jump in social status which can impact not just your career, but your relationships as well. As your status suddenly elevates, Oscar winners and others that find themselves suddenly more famous, wealthy, or successful, may struggle to maintain their ties with their partner. However, for Oscar winners at least, the impact of status disruption on marriage seems limited to men. Women who were nominated or won an Oscar actually divorced at lower rates than other actors. 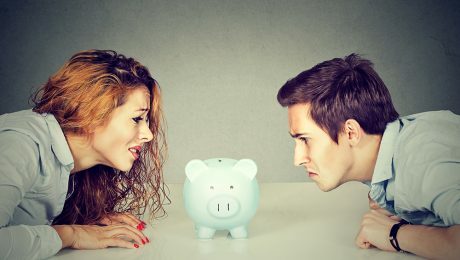 Spouses that experience a sudden windfall of any kind can attempt to protect their relationship by staying true to their values and maintaining honest and open communication. Consulting with a team of financial experts to manage your new found wealth can help your relationship as well as your wallet by putting a financial plan into place. Divorce linked to status disruption will often involve significant property and assets, making these divorces high stakes. Any spouse who is considering a divorce should consult with a licensed divorce attorney as soon as possible. Your attorney can immediately take steps that will help to ensure you emerge from the divorce financially and emotionally intact. Contact us today. What are the penalties for concealing marital assets? Rapper Vanilla Ice, whose real name is Robert Van Winkle, has been accused of attempting to conceal millions in assets from his estranged wife. In October of 2016, Laura Van Winkle filed for divorce from the celebrity in Florida. She sought the exclusive use of the family home, along with spousal and child support. Now, Laura Van Winkle is back in court and claims that Vanilla Ice failed to disclose substantial marital assets. She alleges that she discovered the rapper transferred a large share of his assets into his company’s name during the marriage. Now, the court is left to untangle a financial web of intermixed marital and separate assets, and Vanilla Ice could face trouble in court if he intentionally concealed assets. During a divorce, both spouses must make a full and accurate accounting of their marital assets so that the court can fairly divide the assets. At times, one spouse may attempt to conceal or hide assets from the other. Sometimes, schemes to conceal assets begin long before the divorce is even initiated. There are many potential methods for hiding assets. A spouse could attempt to transfer real estate or bank accounts out of their name, may squirrel away joint funds in a separate account, or could withdraw and hide money in a safe deposit box. Other times, a spouse may attempt to deflate their income. This is particularly common when a spouse is self-employed and can write themselves checks for lower amounts. If you suspect that your spouse is hiding assets, you may need the assistance of a private investigator or financial expert. A forensic account is trained specifically to trace assets and uncover monies that have been hidden. You can also attempt to find the missing funds on your own with the help of your attorney and the court. You can subpoena bank statements, employee records, and more to unearth missing funds. If your spouse is found to have concealed assets, he or she could face punishment in divorce court and potentially criminal court. The court may punish the concealer by awarding the innocent spouse a greater percentage of the marital assets. A judge could also order your spouse to pay you more in support to make up for the missing assets. At times, you can even be arrested for intentional concealment of assets. A New App Files for Divorce For You, But At What True Cost? What are the dangers of filing for divorce without an attorney? A new web app called “It’s Over Easy” was recently launched with a goal of making divorce simpler and less expensive. Launched by a celebrity divorce attorney who handled divorces for mega stars like Britney Spears, “It’s Over Easy” will ask you several questions in order to generate divorce papers. The paperwork can then be filed by you in your local divorce court or the app can file for you. While this new app could save you money in the short term, many divorce filers could find themselves losing out significantly in the long run because they are filing without a full understanding of their legal rights. The “It’s Over Easy” app is just the latest in new technologies that purport to allow you to file for divorce without the help of a lawyer. The app is aimed at couples that can reach an agreement on central divorce issues, like property division, alimony, and child custody. The basic plan costs $750 and the premium plan will run upwards of $2,500. While the web app may be less expensive than an attorney, depending on the extent of your legal needs, it could cost you far more overtime. Even couples that can still communicate will benefit from the assistance of a divorce lawyer. A divorce attorney performs the vital task of reviewing the facts of your case and offering an in-depth understanding of your legal rights under your state’s specific laws. Armed with knowledge as to what you are legally entitled, you can then approach divorce mediation with appropriate goals. Divorce mediation allows divorcing couples to come to an agreement as to the terms of a divorce with the help of a licensed divorce lawyer. Your divorce attorney will ensure you do not sell yourself short, which can so easily happen to couples divorcing on their own. Your divorce lawyer will confirm that every possibility to your divorce will be explored. If negotiations come to an impasse, your divorce lawyer will help you to navigate the complex realm of contested divorces in order to achieve your best possible divorce outcome. 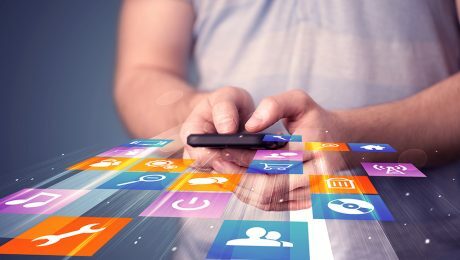 For these reasons, the individualized and experienced assistance of a divorce lawyer can simply not be matched by a computer program. Where should I file for divorce in Michigan? As people worldwide welcome in the New Year, many couples will decide to call it quits. Every year, divorce filings peak in January. Whether it is linked to New Year’s resolutions or the post-Christmas lull that gives many time to reflect, divorce attorneys across the country will find themselves with new clients come January. Google Trends data further confirms the New Year divorce spike, showing divorce as one of the most popular searches this month. 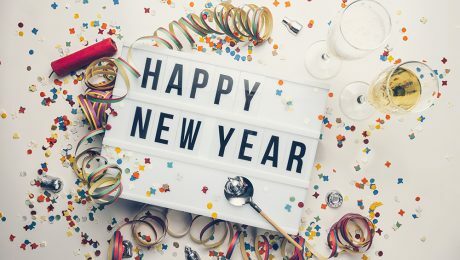 Our Michigan family law attorneys explore the New Year’s divorce peak and some important facts you should know if you are considering filing for divorce. January is known as the “divorce month.” During this month, divorce rates increase by one-third in many regions. This increased divorce trend continues for the first few months of the year, ending in early March. There are several factors that influence this annual trend. 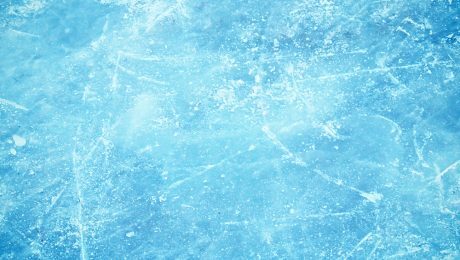 First, the sharp rise in divorce filings correlates with the coldest months of the year, in which many are forced inside. More time together during the winter weather and holidays could bring marital issues to a head. Further, many unhappy couples have been considering divorce for some time, but wanted to make it through the holidays. Once the holidays have past, divorce becomes imminent. For couples in marital discord, divorce may be a first step towards a happier future. As such, couples contemplating divorce should use the New Year to find out their legal rights and initiate the process, if they so elect. Potential Michigan divorce filers should review some facts below to get started with their divorce. To file for divorce in Michigan, you will need to meet the residency requirements. To be considered a Michigan resident with standing to file, one of you must live in the state for at least six months. You will want to file in the county in which you or your spouse lives. Divorcing spouses should consult with an attorney right away to find out their rights when it comes to vital issues like property division, child custody, child support, and alimony. With effective legal assistance, you can obtain your fresh start this New Year. When you say “I do,” you anticipate that it will be forever, but the reality is that close to 50 percent of all marriages end in divorce. Researchers are constantly trying to uncover what causes some spouses to divorce, while other marriages withstand the test of time. One new study has linked divorce to feelings of tension within the marriage, particularly where the wife feels tension. Michigan family law attorney Don McGuigan discusses this new research and other top causes of divorce below. Researchers at the University of Michigan’s Institute for Social Research followed 355 couples over a course of 16 years. The study revealed that marital tension tended to increase over time. Husband’s tensions increased at a greater rate than wives, but it was raised marital tension among the wives that predicted the marriage ending in divorce. The tendency for divorce increased even more when men reported low levels of tension, and wives held high levels of tension. Couples can learn from this study by finding methods to discuss and deal with feelings of tension. Having realistic expectations going into the marriage and keeping open lines of communication could prevent a marriage from reaching the point of divorce. Marriage counselors may also help couples find ways to reduce tensions. For some couples, divorce is the best pathway to individual happiness. Contact a family law attorney if you are considering divorcing your spouse so as to protect your legal rights. Will I have the right to make major decisions for my child post-divorce? 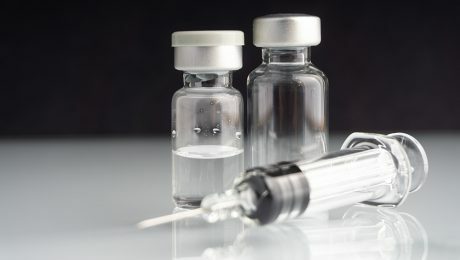 A Michigan divorce case has garnered national attention for its focus on the issue of vaccines, and now a second child custody case involving vaccines will continue to keep the matter in the spotlight. Rebecca Bredow is the mother of a nine-year-old boy. She objects to vaccines on religious grounds. The boy’s father, however, wants the boy vaccinated. A Michigan judge ordered Bredow to vaccinate her son, but she refused and was placed in jail for five days. The boy’s father had his son vaccinated when he had custody of the child. Now, the judge has issued a 50/50 physical custody ruling over the objections of the boy’s mother. In the same court, Lori Matheson from Walled Lake, who shares custody with her ex-husband, is objecting to vaccinating her two-year-old daughter based on religious and medical grounds. Like Bredow’s case, Matheson’s ex-husband wants the child vaccinated. The parents will soon go before the judge to present expert testimony focusing on the safety of vaccines. As parents, you will constantly need to make vital life decisions for your child. From medical matters to education and religion, your decisions will mold your child’s future. Legal custody refers to the right to make important decisions for your child. These decisions could include where he or she will go to school, what religion he or she will be raised with, and whether your child will be vaccinated. Under Michigan law, legal custody can be distinguished from physical custody, which means who the child lives with. At times, the court will grant joint legal and physical custody. Other times, the court could provide one parent with legal custody and split joint physical custody. Custody is often a crucial concern for divorcing parents. While some parents will be able and willing to work together to continue to make vital life decisions for their child, other situations require court intervention. Anyone considering divorce should contact a family law attorney as soon as possible for assistance with your potential child custody matter. How will our debt be divided in a divorce? Most Americans today are straddled by debt. An estimated eight out of ten Americans are in debt in some fashion, according to financial data by Pew Charitable Trusts. Mortgages comprise the majority of debt for many of us, but others may be burdened by credit card debt, outstanding student loans, medical bills, and the like. In a divorce, your joint debt will need to be distributed, much like your marital property. Our Michigan divorce lawyers at McGuigan Law discuss what you need to know about debt division in divorce. Debt is treated like an asset in a Michigan divorce. Michigan law divides property into two general categories: separate property and marital property. Separate property is any property acquired by either spouse prior to entering into the marriage. It can also include property received by inheritance or a gift to one spouse during the marriage. In a divorce, separate property will generally be awarded to the party to which it originally belonged. However, separate property can become marital property if it is commingled or mixed with marital property. A divorce court will accordingly carefully trace the origin of all debts and the use of funds during the marriage. What property each party will receive in the divorce. Michigan courts will generally aim to assign debt roughly equally in the divorce. Courts may depart from this approach if the circumstances so warrant. Parties that receive a greater share of marital property could receive more of the debt load. If you are divorcing your spouse and concerned about how your marital debt will be divided, contact a divorce lawyer as soon as possible. Your divorce attorney will advocate on your behalf so that you receive only your fair share of the debt. How does a legal separation differ from divorce? If you have reached the decision to end your relationship, you have the option of filing for divorce or, alternatively, you could consider a legal separation. In Michigan, legal separation is referred to as separate maintenance. With a legal separation, spouses can remain legally married, but you and your spouse will divide your life and property. Under some circumstances, a legal separation may offer the legal remedy you need to end your relationship without the need to terminate the marriage. Our Michigan legal separation lawyers at McGuigan Law, PLLC offer an overview of legal separation in the state below. For most people, when a marriage has ended, divorce is the automatic first thought. However, there are reasons that some people would want to stay married, but separate their lives. Separate maintenance may be desired due to religious reasons, uncertainty about final termination of the relationship, or to maintain insurance benefits for a family member. Anyone considering filing for separate maintenance should discuss this option with their family law attorney to ensure it is the best course of action for you. Separate maintenance or legal separation is nearly identical to divorce, save for one fact—you are still married after it. In an action for separate maintenance, you will need to meet the same basic residency and ground requirements as in a divorce. Further, during the separation, you will divide your property, resolve issues of potential child or spousal support, and determine child custody. Just as in a divorce, the court will divide your marital assets equitably in the separation action. Equitable means fair and not necessarily equal. You will be able to keep your separate assets. Equitable distribution will involve consideration for the amount of time you were together, any abuse or abandonment, and other critical factors concerning the marriage. A legal separation is a complex procedure akin to divorce. If you are considering legal separation from your spouse, consult with a family law attorney in your area. Your attorney can assist you in achieving the best possible outcome for your separation or divorce. Could divorce arbitration offer a preferable means of divorce for me? A traditional fault divorce is stressful, time consuming, and expensive. Couples that pursue a traditional divorce in Michigan may find themselves in the middle of a potentially public battle to divide their finances, home, and time with children. Due to the many disadvantages of a classic divorce, several alternatives have developed. In Michigan, divorcing couples can consider divorce mediation or divorce arbitration. Our Southfield, Michigan divorce lawyers discuss these two alternatives to a traditional divorce below. Mediation can offer an inexpensive and amicable way to end a marriage. It also has the advantage of placing the power in the hands of the divorcing couple to decide what is best for their future, rather than with a judge. During a mediated divorce, a mediator assists the divorcing couple in seeking a resolution to the marriage. The mediation process will involve much negotiation, often lead by the trained divorce mediator. All sides must agree in order to reach a final dissolution of marriage. Divorcing couples who agree on some issues or have the ability to still work together to reach an end to the marriage may benefit greatly from mediation. 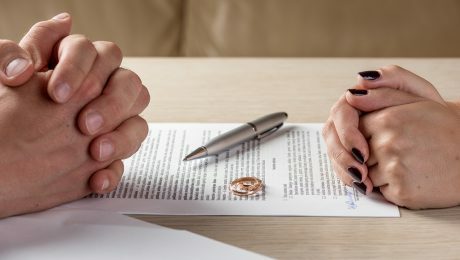 In Michigan, divorcing spouses can consider arbitration, which is a form of alternative dispute resolution. Arbitration lies somewhere between mediation and a trial. During arbitration, the divorcing couple will work towards reaching an agreement on crucial divorce issues, but ultimately it is the arbitrator that will make binding, final decisions when the parties cannot agree on an issue. Arbitration can save divorcing couples time and money by doing away with some of the formalities of a traditional courtroom divorce. Arbitration is ideal for divorcing couples that want to reach an amicable dissolution to the marriage, but are at an impasse when it comes to certain divorce matters. Parties that agree to arbitration will set the arbitration schedule and choose the judge. Parties additionally have some limited rights to appeal if they are unhappy with the arbitrator’s decision. Any couple considering divorce in Michigan should consult with a divorce lawyer as soon as possible. Your divorce attorney will assess your unique situation to guide you towards the best divorce option for you and your family. How might the new joint custody bill impact custody arrangements in Michigan? A new bill recently passed the Michigan House Judiciary Committee and it could mean changes for custody determinations in the state. The law would require that judges award joint legal custody to divorcing parents, absent evidence of domestic violence. Supporters of the bill believe a change in the current law is needed due to the evolving standard of parenting, which includes an increasing number of people having children while unwed. By eliminating the discretion of individual judges, it is believed that children will have a better chance of experiencing the benefits of shared parenting. Under the new law, family law judges will award joint legal custody and equal parenting time, unless there is clear evidence of domestic violence. Parents would not be permitted to move over 80 miles away from the other parent. Further, no parent would receive more than 200 overnights with their child each year. This would impact not just custody, but child support obligations as well. Child support is based on the number of overnights each parent has with the child, so the new law will reduce the child support burden. Lastly, the custody preference of children over the age of 16 will be given significant weight by the judge. While the bill has gathered the support needed to pass the House committee, it must still go before the full House of Representatives, where it may meet opposition. Opponents to the bill believe that the presumption of shared custody puts the best interests of the child on the back burner. It ignores the realities of each family’s situation, disregarding who has been the primary caretaker. Further, giving older children a say could thrust the child into the forefront of a custody battle. As we wait to see whether the new joint custody bill becomes law, divorcing parents should take time to consider what custody arrangement will best serve their children and family. 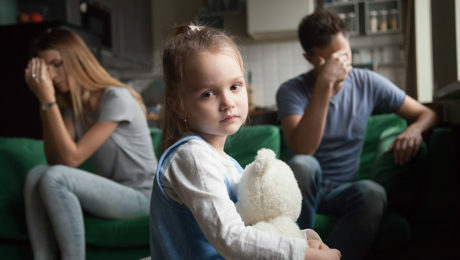 Child custody is one of the most hotly contested issues in any divorce, so parents should consult with a divorce attorney early on to explore their custody rights and options.